The BRDC Formula 3 Championship and British GT Championship return this weekend (April 31-May 1) with a combined visit to Rockingham Motor Speedway. The event will see the debut of Lanan Racing's brand new Ginetta G55 GT4. Although green flag running was limited during the frenetic opening race of the British GT season, driver pairing Joey Foster and Alex Reed can call on the experience gained from their debut in a Ginetta G55 rented from Fox Motorsport. The unique UK circuit was where they first got to grips with a GT4 Ginetta, having visited for a shakedown in pre-season. They will be expected to push on up the grid when the lights go out for the two-hour mini enduro. In BRDC F3, Toby Sowery heads the championship standings for Lanan Racing after four podiums in the first six races, including a dominant win in race two at Brands Hatch last time out. His most recent visit to the Corby circuit in F3 machnery saw him claim a brace of second-place finishes. Akhil Rabindra will be hoping for better luck when the championship resumes, currently lying 19th in the points table after an eventful start. He secured his best result of the season in the third and final race at Brands Hatch and will carry that confidence to Rockingham. 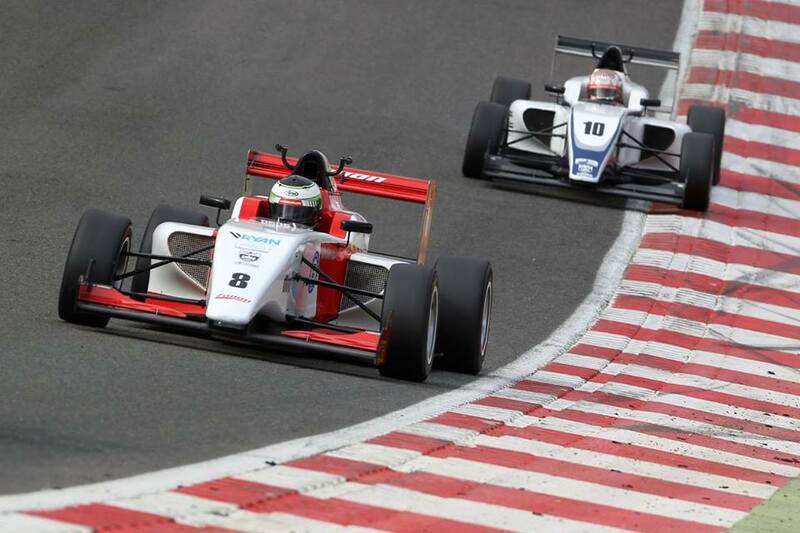 One of his best results in BRDC F4 last season was taken at the Speedway, finishing seventh in race two. Round two of British GT takes place at Rockingham Motor Speedway on April 31-May 1, with the race scheduled to start at 13:00 on Sunday May 1. Qualifying takes place at 16:03 on Saturday. BRDC British F3 races three times at Rockingham, with race one at 15:05 on Saturday. Race two starts at 09:50 on Sunday ahead of race three at 15:45. For more information email graham@lananracing.com or call 07970 685498.